Although studies have found that taking medical or recreational marijuana may lead to psychosis, Psychiatric Times mention ‘acute consumption’ specifically. 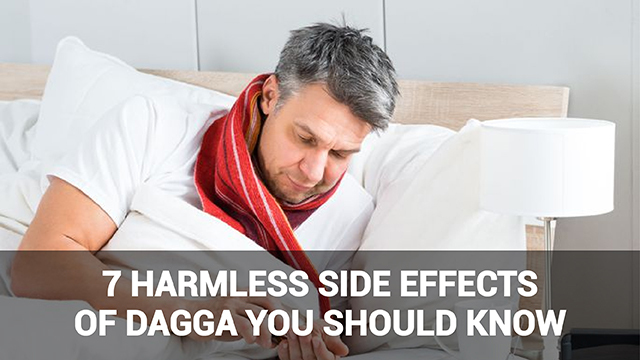 This means that frequent users who consume dagga at high doses are more likely to develop dagga psychosis. Many medical users who micro-dose would thus have lower risk. Cannabis has been used for hundreds of years to treat many health conditions. 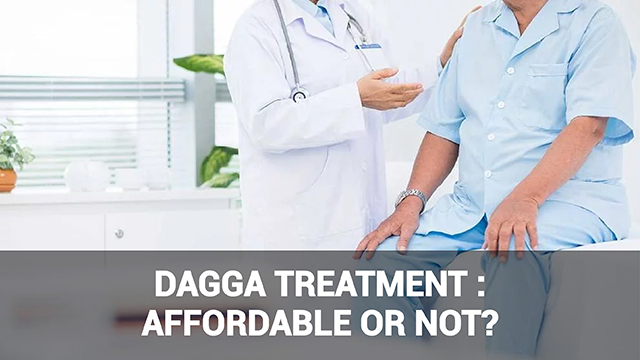 However, recreational use of cannabis has put the rarer side effects of dagga in the spotlight, including psychosis. Understanding the side effects of marijuana for recreational use is complicated by the fact that street (illegal) weed is sometimes mixed with other substances to produce a more narcotic effect, and these may at times be the underlying cause of psychosis. Psychotic disorders induced in people taking marijuana are mainly because the chemical compound THC that is responsible for the ‘high’ effect of dagga. THC (short for ‘tetrahydrocannabinol’) has been found to worsen psychotic symptoms in people already experiencing them, which is why marijuana use, whether for recreational or medicinal use, is not recommended for individuals with mood disorders. A study conducted at King’s College in London found changes in brain activity in the areas thought to be linked to psychosis after test subjects consumed THC-containing pills. A further complication in linking dagga consumption to psychosis is that another compound found in marijuana may decrease marijuana-related psychosis. 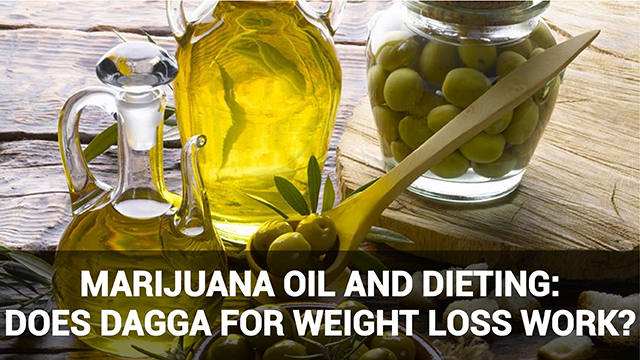 In the same study mentioned above, cannabidiol was administered to the same test subjects, along with a placebo. Between the groups who received the placebo and the cannabidiol pills, there was no difference in psychotic symptoms. The test saw lower activity in the brain region called the ‘striatum’. Cannabidiol (CBD) is thought to block the binding of THC with nerve cells. 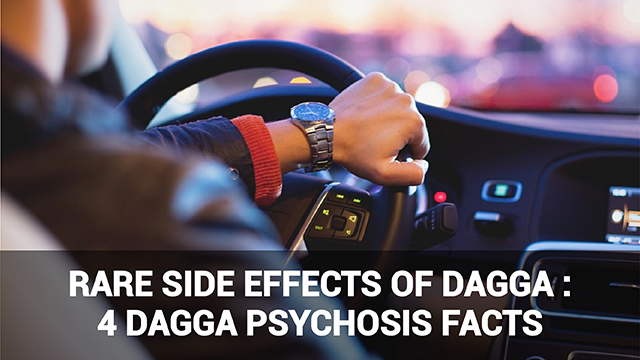 Studies in the link between dagga and psychosis thus at times contradict each other, and there is no certain, reproducible psychotic effect. Whether or not marijuana serves as a trigger depends on the individual’s frequency and intensity of use, whether there is existing psychosis, and other factors. Thus those who use legal weed for medicinal purposes may have lower risk profiles, due to the controls in place and moderate doses used.